Top shelf extremely fast shipping will do business again! I'm happy with the product and it fixed the problem. The issue I have is I just bought the BF about 3-4 mos before it broke. I called you guys and you did not warrenty the product and I had to purchase it. I had proof of time of purchase but it didn't matter. Any other company that I've felt with in the gun community would've warrantied their product 4 mos after purchase. I'm happy with the product and the machine is working properly. A replacement DC powder supply for your Mr.Bulletfeeder by DAA. 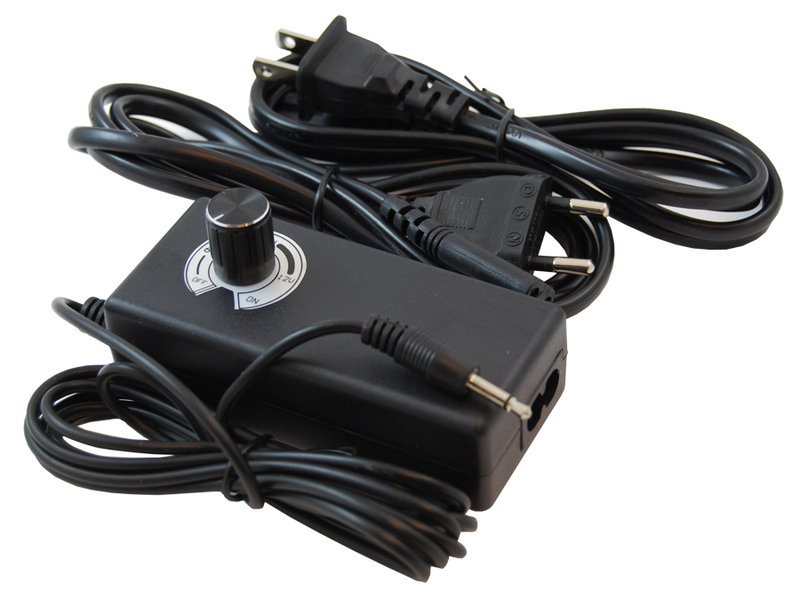 This power supply includes two AC power cords, for EU and US Plugs. This DC power supply will allow you to adjust the speed at with your collator turns, to adjust for best performance. It includes a power surge protection, preventing more than 800mA from being supplied, even if the motor stalls. This prevents damage to the motor and the power supply, and eliminates the need for a fuse.